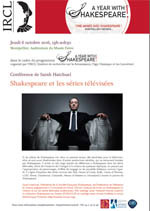 Four centuries after his death, Shakespeare is more relevant than ever to today’s world. 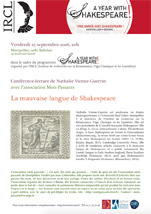 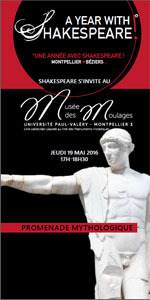 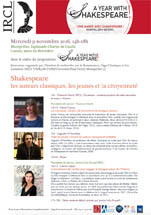 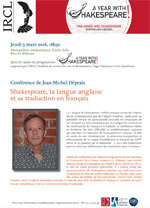 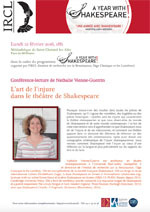 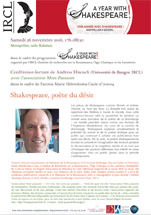 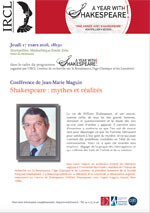 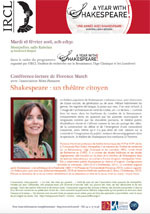 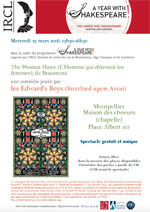 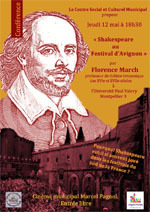 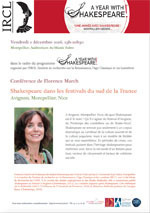 The IRCL invites Montpellier and its region to share a Year with Shakespeare! 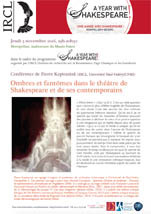 Talks, readings, performances, screenings and research-related events will take place throughout 2016, coordinated by the IRCL in partnership with several organisations and institutions. 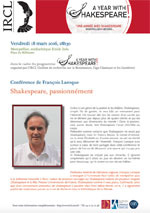 Our bid is to encourage the sharing and production of knowledge, art forms, pedagogical initiatives and collective values. 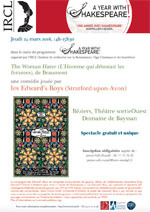 This unique Year with Shakespeare festival will also showcase youthful takes on his work by creators, performers and artists, pupils and students, amateurs and professionals – young people reminding us how young Shakespeare is.